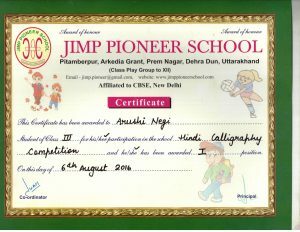 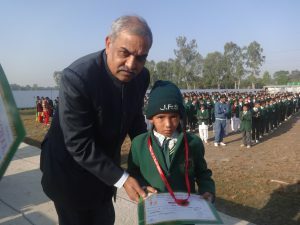 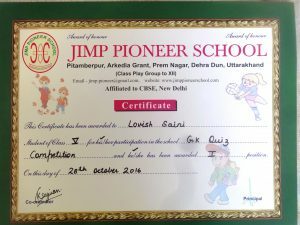 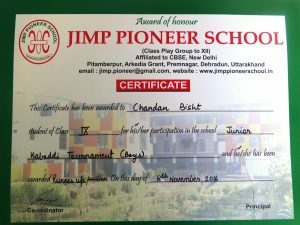 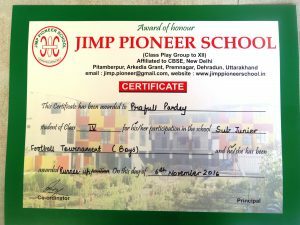 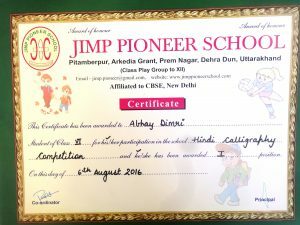 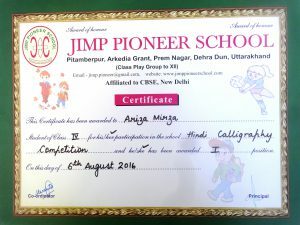 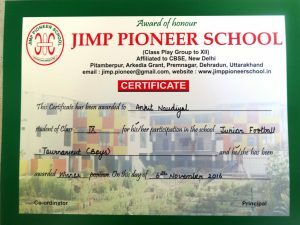 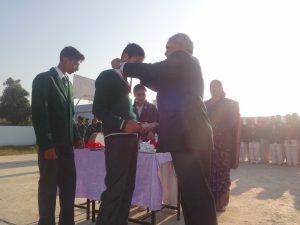 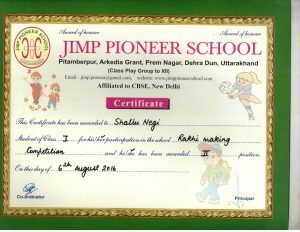 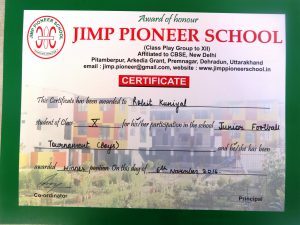 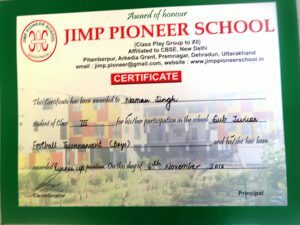 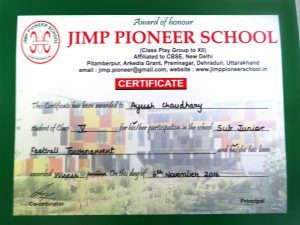 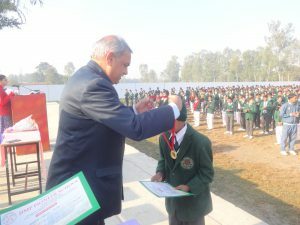 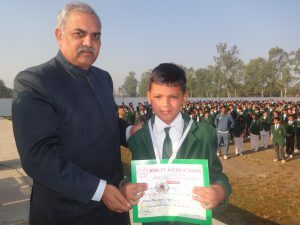 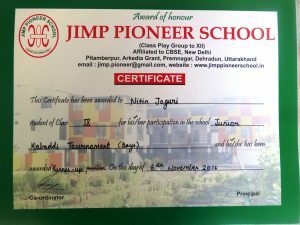 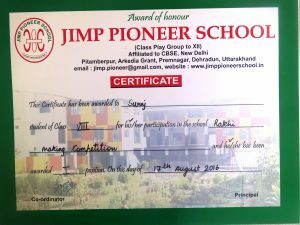 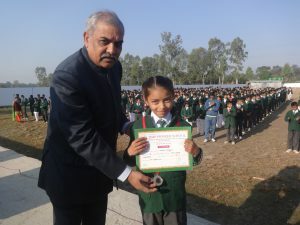 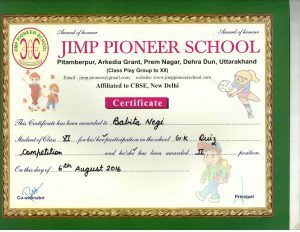 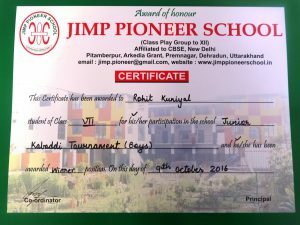 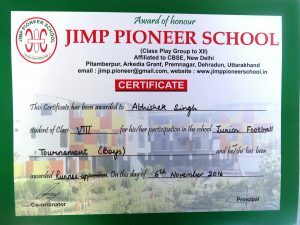 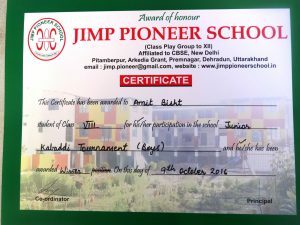 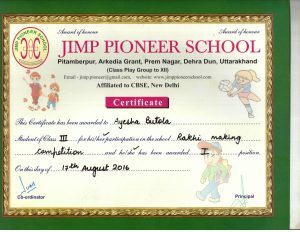 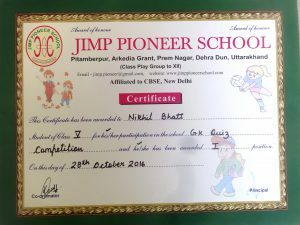 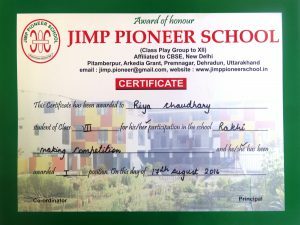 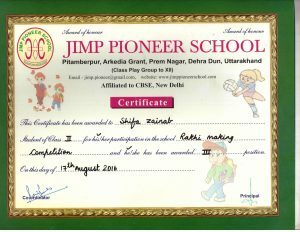 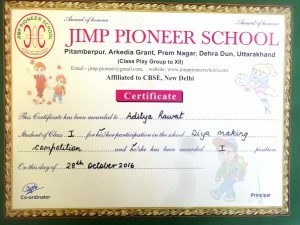 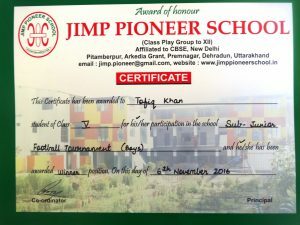 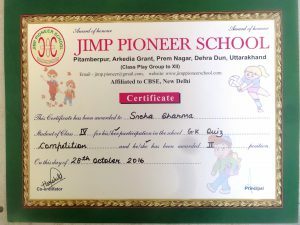 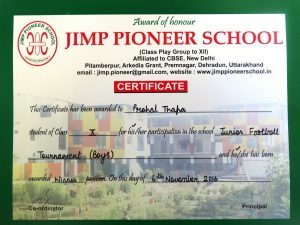 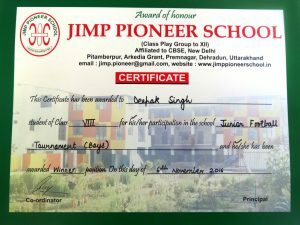 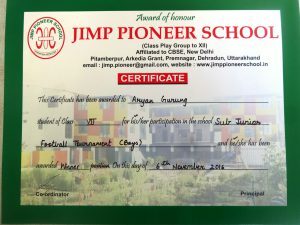 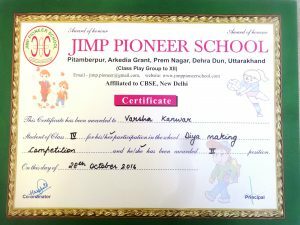 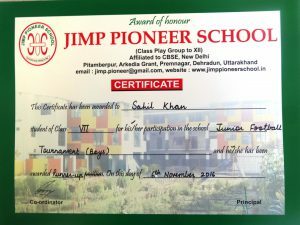 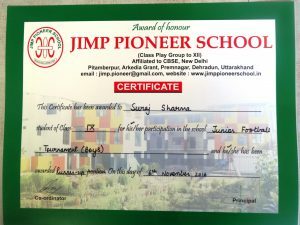 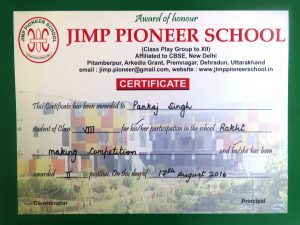 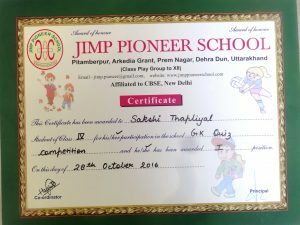 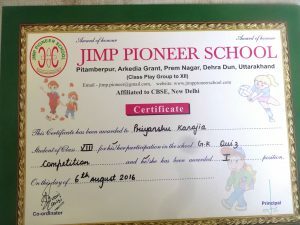 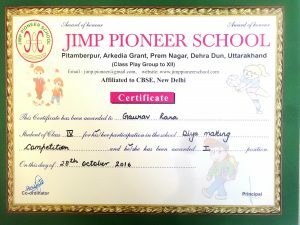 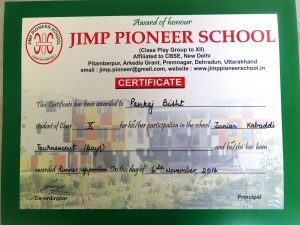 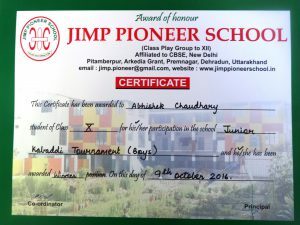 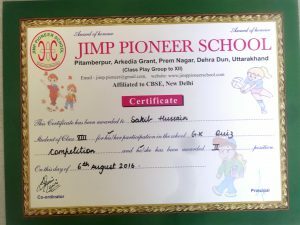 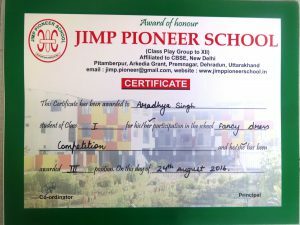 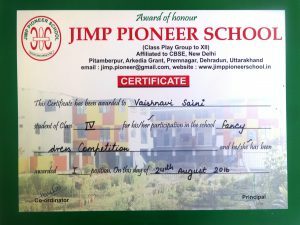 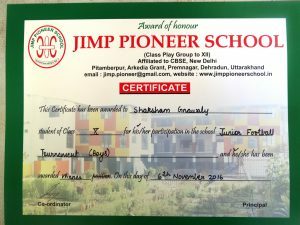 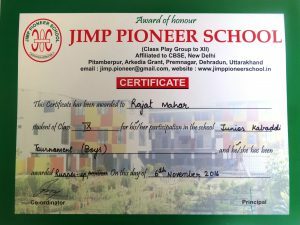 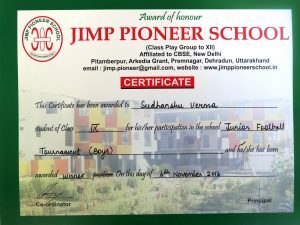 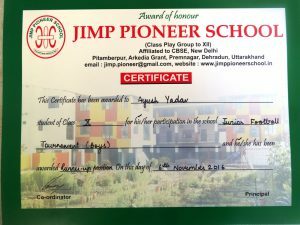 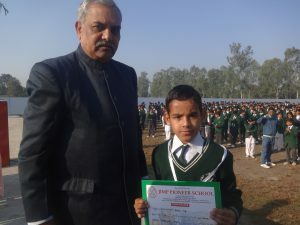 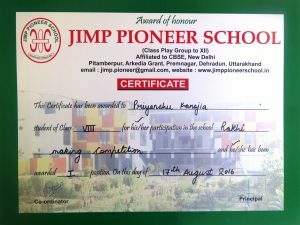 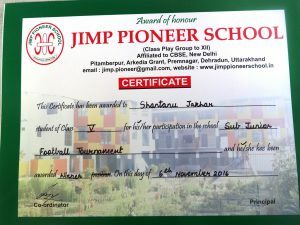 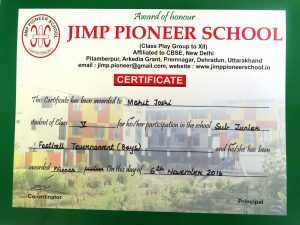 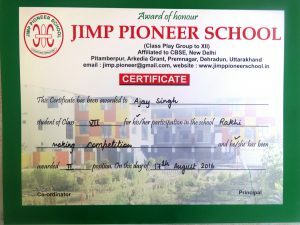 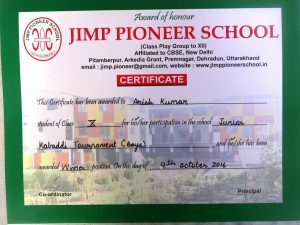 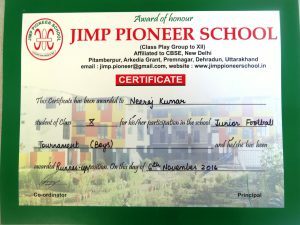 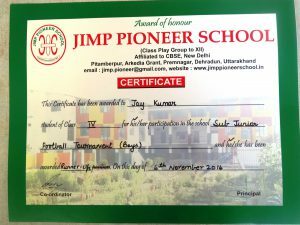 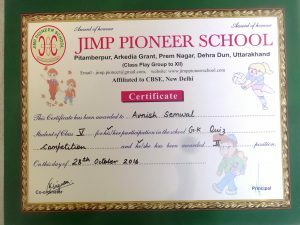 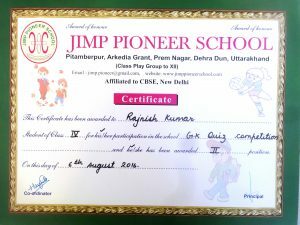 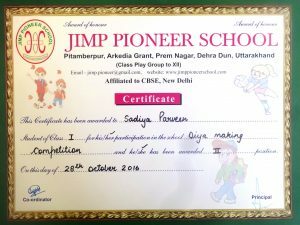 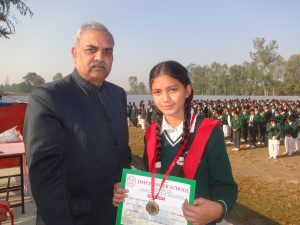 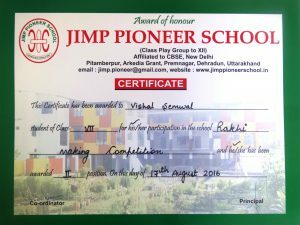 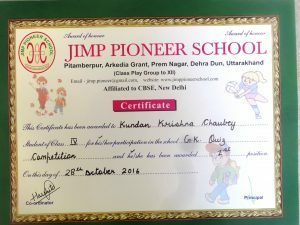 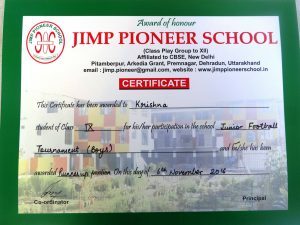 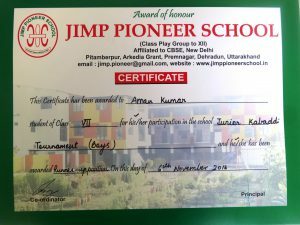 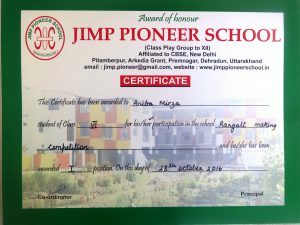 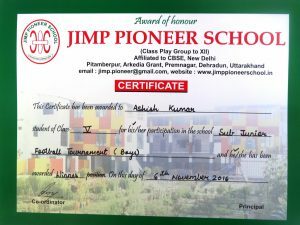 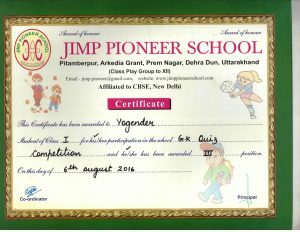 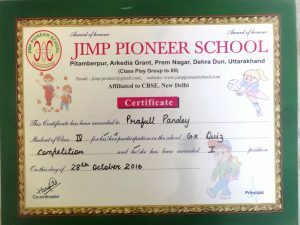 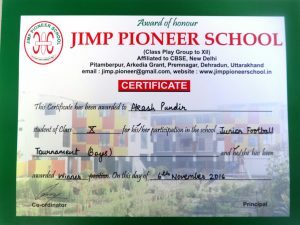 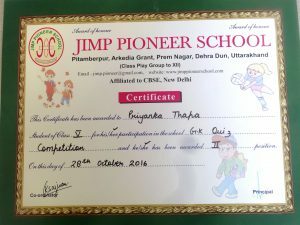 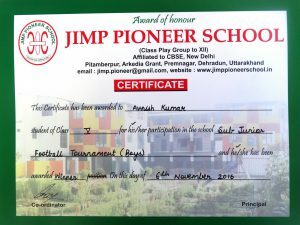 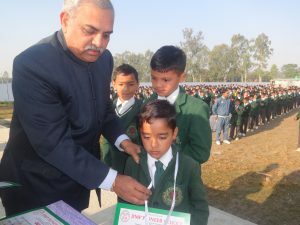 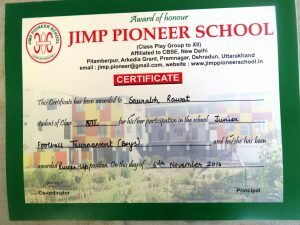 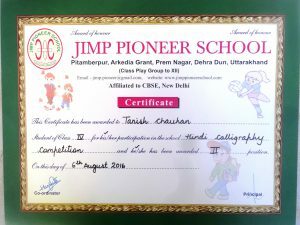 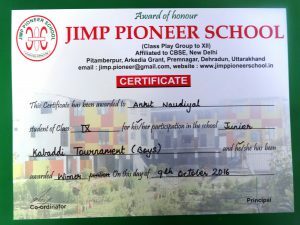 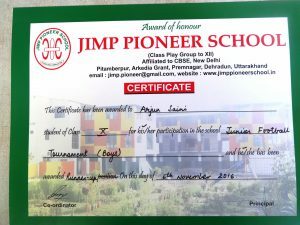 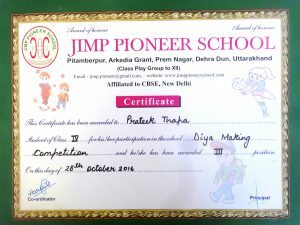 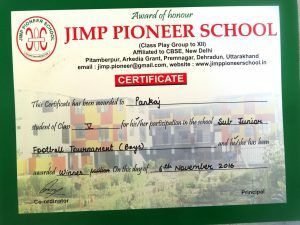 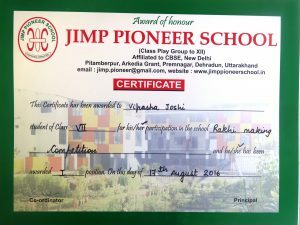 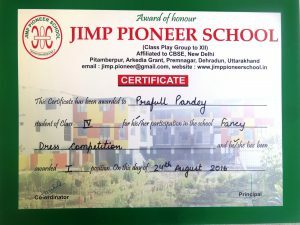 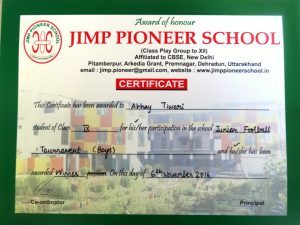 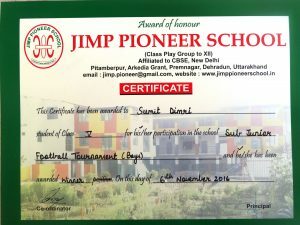 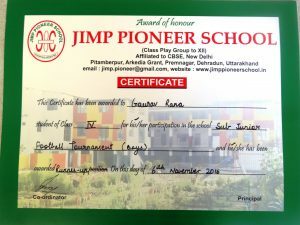 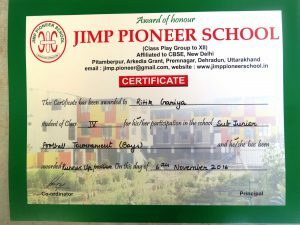 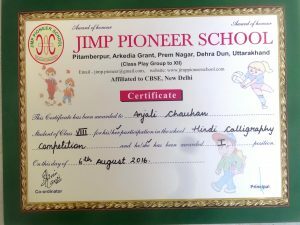 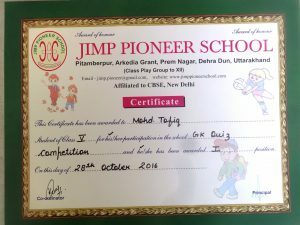 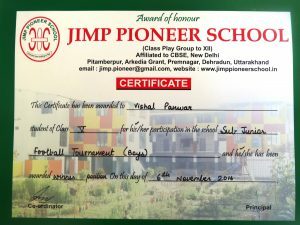 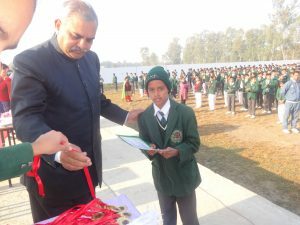 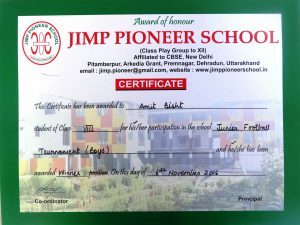 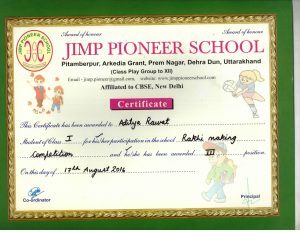 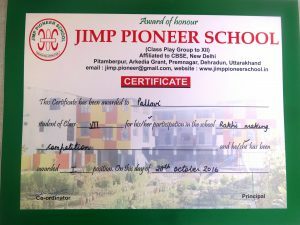 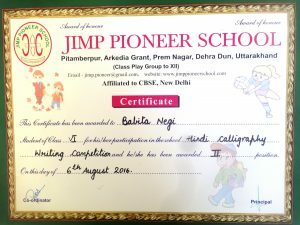 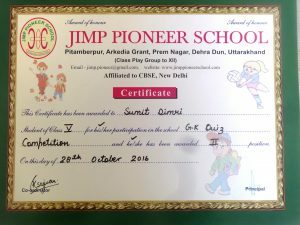 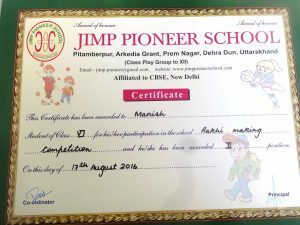 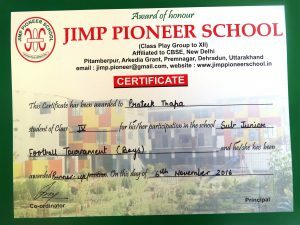 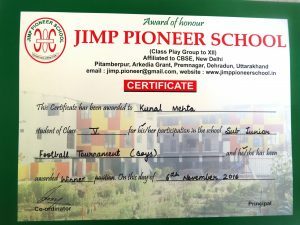 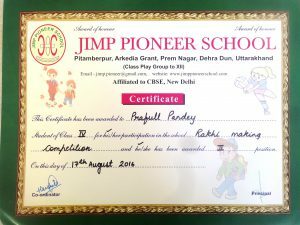 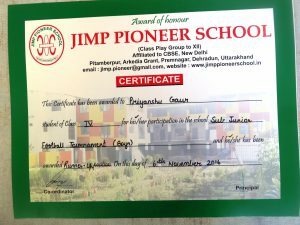 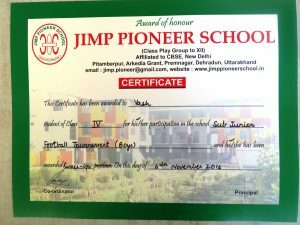 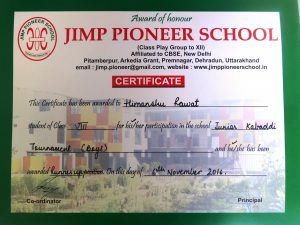 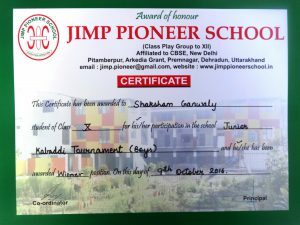 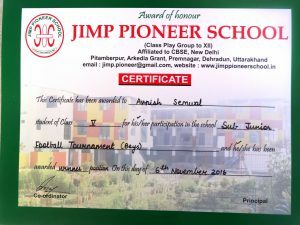 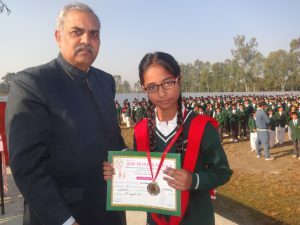 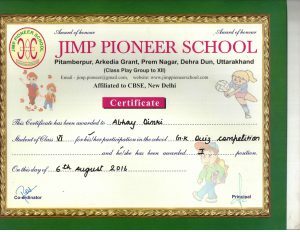 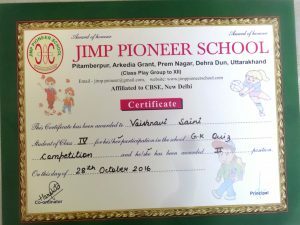 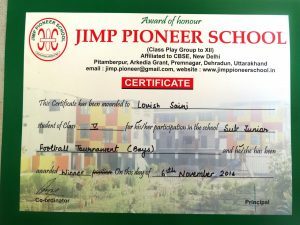 On 16 November 2016, Prize Distribution ceremony was organized in Jimp Pioneer School. 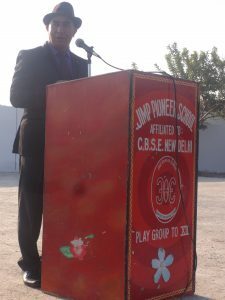 In order to make this event successful, a lot of preparations were made by students. 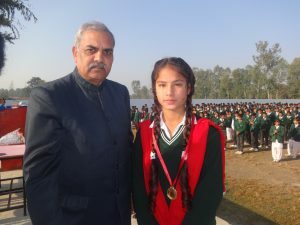 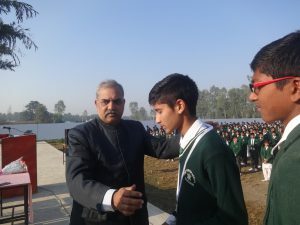 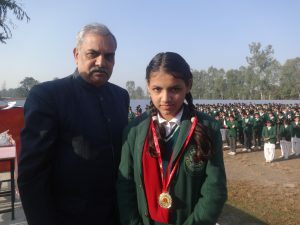 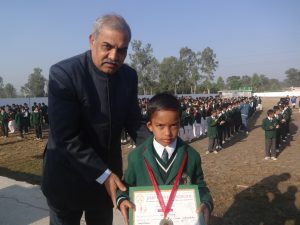 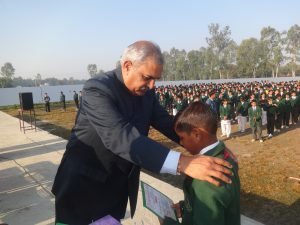 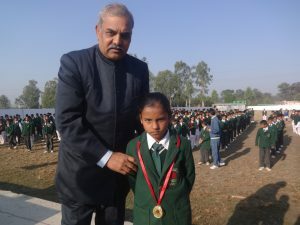 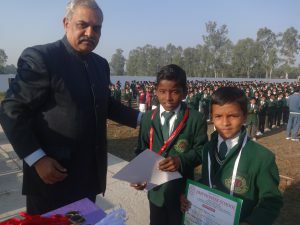 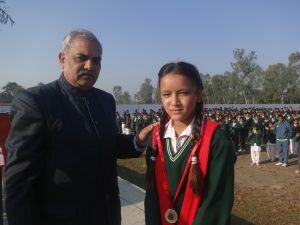 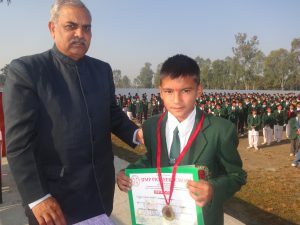 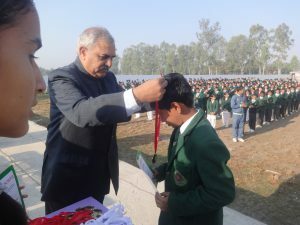 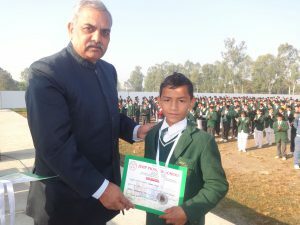 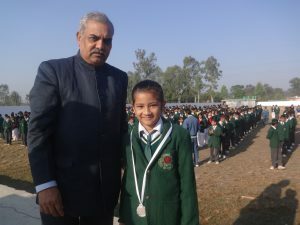 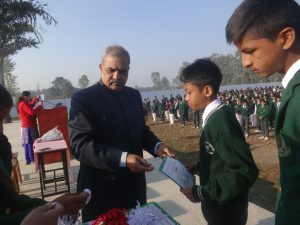 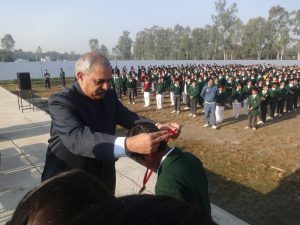 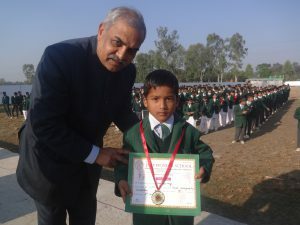 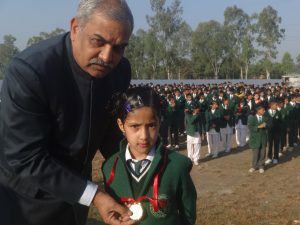 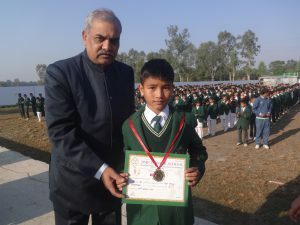 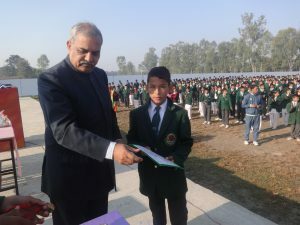 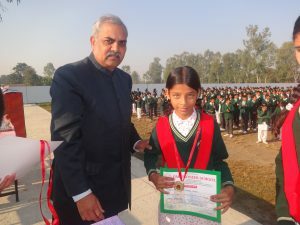 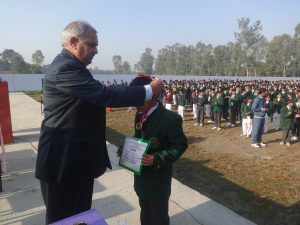 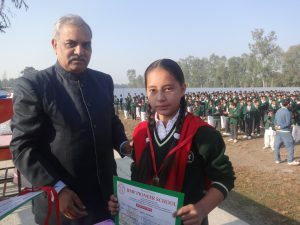 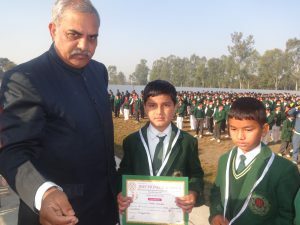 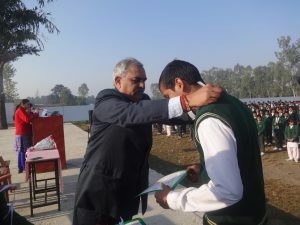 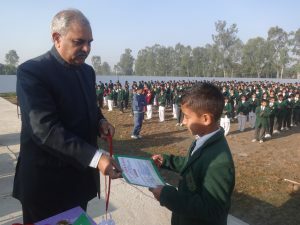 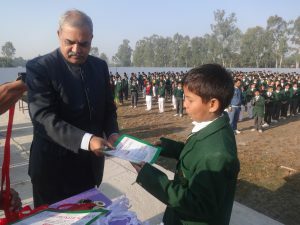 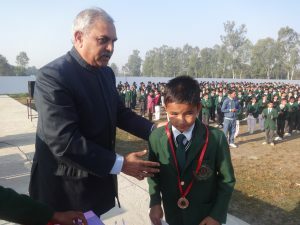 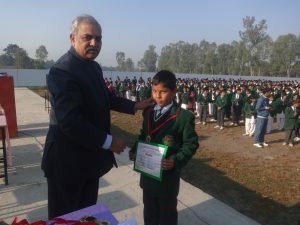 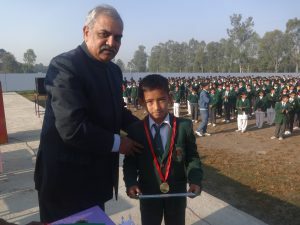 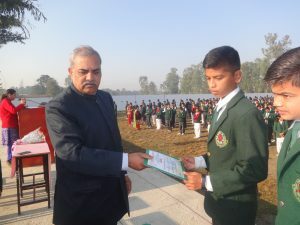 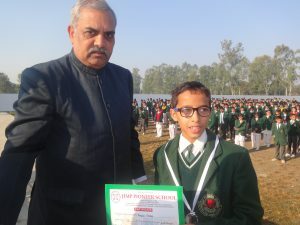 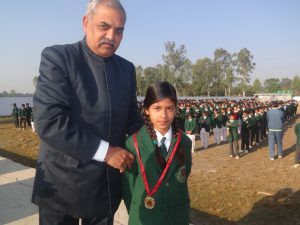 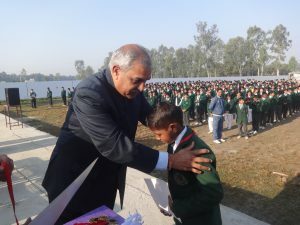 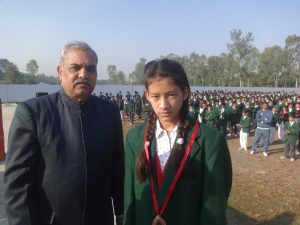 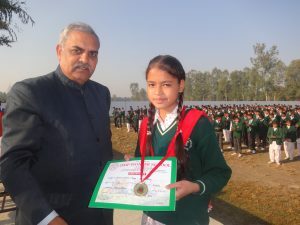 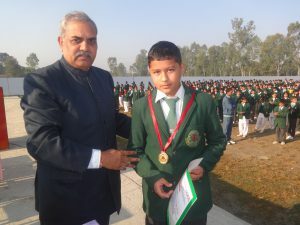 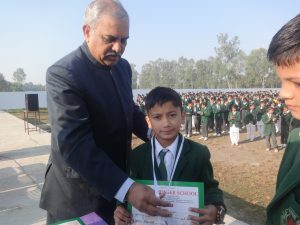 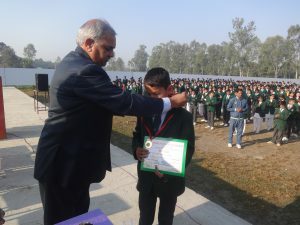 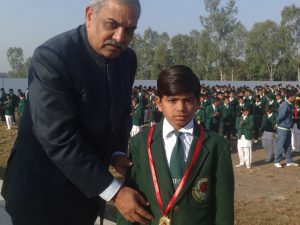 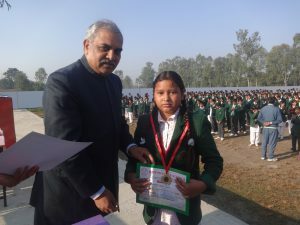 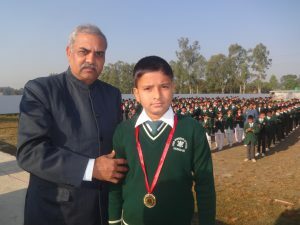 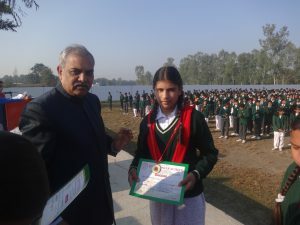 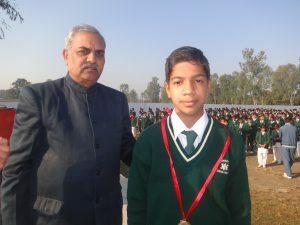 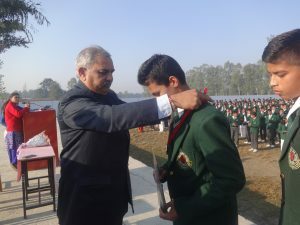 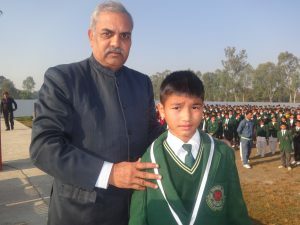 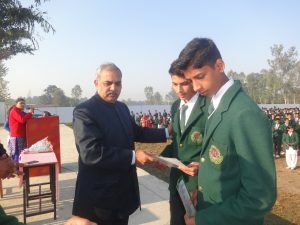 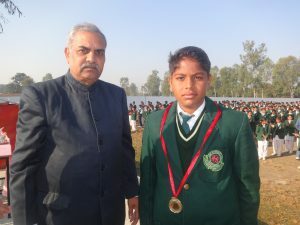 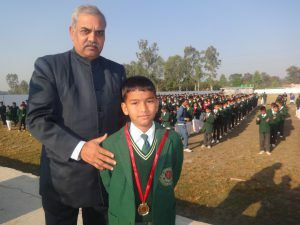 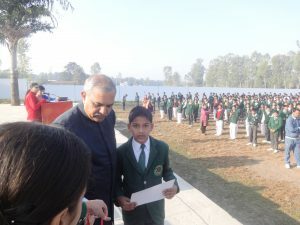 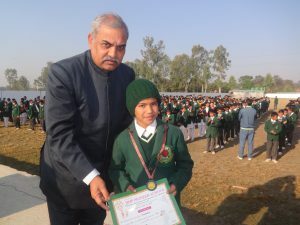 The successful students in various fields such as Sports, Education, Cultural Programs were honored in the function. 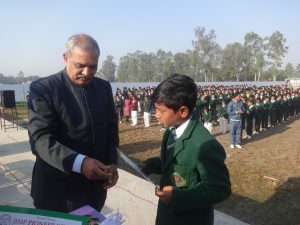 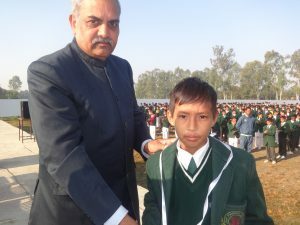 On this occasion Mr. Ashok Sharma (Secretary of RSS Arkedia Grant) Honorary the chair of Chief Guest. 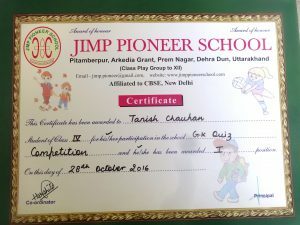 Well done, winners! 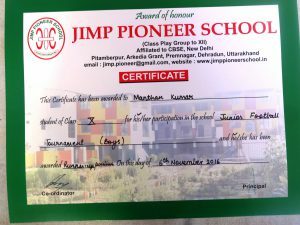 Your achievement is indeed our pride! 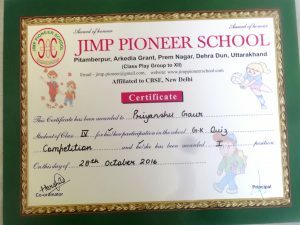 ← बाल दिवस के अवसर पर कवि सम्मेलन.